Paillonnée enamelling is a technique of applying layers of translucent enamel over tiny pieces of gold or silver, known as paillons. 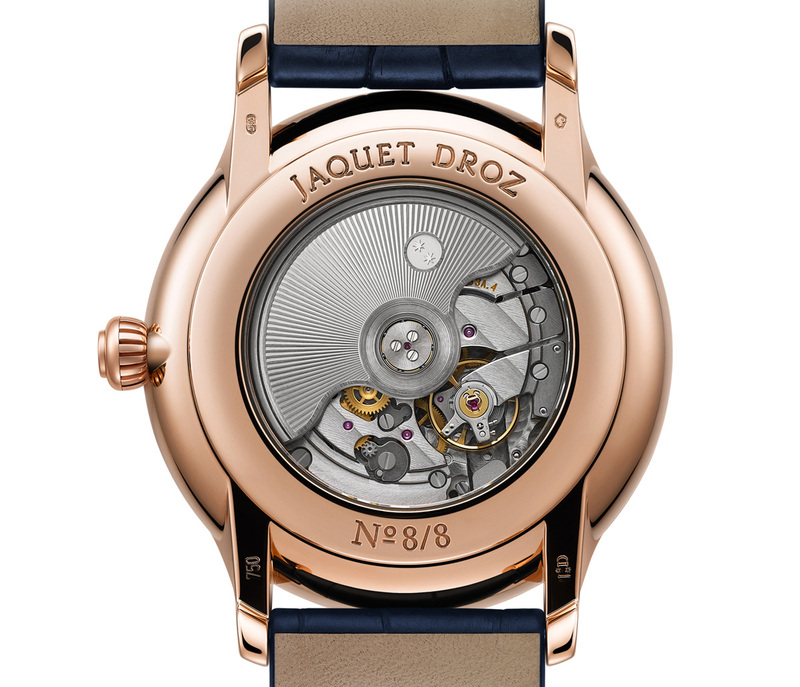 Jaquet Droz has used this technique to create incredibly beautiful timepieces on past occasions, with the claim that the nineteenth gold paillons used were extremely rare and almost entirely gone. 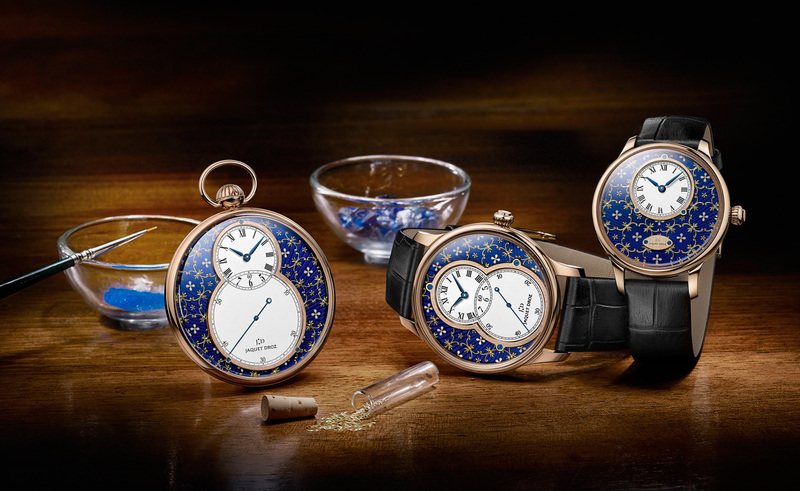 Nonetheless there are apparently enough paillons remaining for the trio of Paillonnée Enamel watches just presented at Baselworld 2014, comprising a Grande Seconde, Petite Heure Minute as well as a pocket watch. Each dial is made by hand, with the paillons carefully set by hand, and multiple firings in an oven to achieve the spectacular final result. 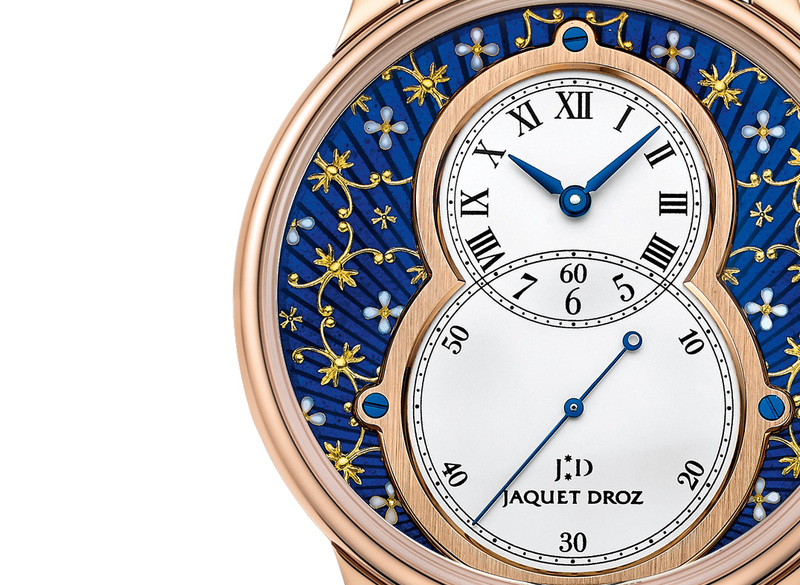 The translucent blue grand feu enamel dial has a radial, sunburst guilloche, over which the floral gold paillons are applied. 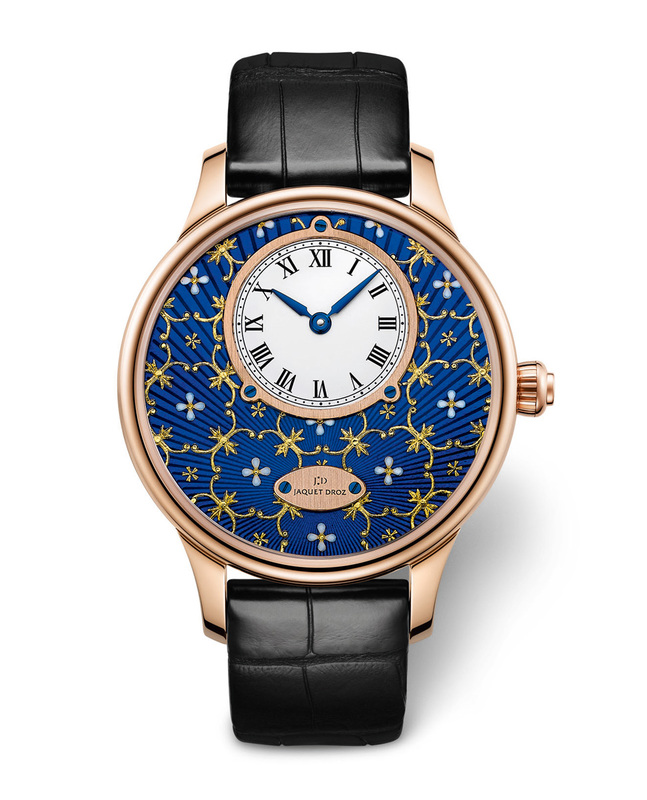 Though similar at first glance, the new Paillonnée have subtly different motifs from the earlier editions. All of the Paillonnée watches have red gold cases, as well as matching red gold chapter rings on the dial. The first of the trio is the Grande Seconde – which gets its name from the oversized seconds sub-dial – has a 43 mm case with an automatic movement based on the Frederic Piguet 1153 inside. With the same movement but a slightly different time display is the 39 mm Petite Heure Minute. 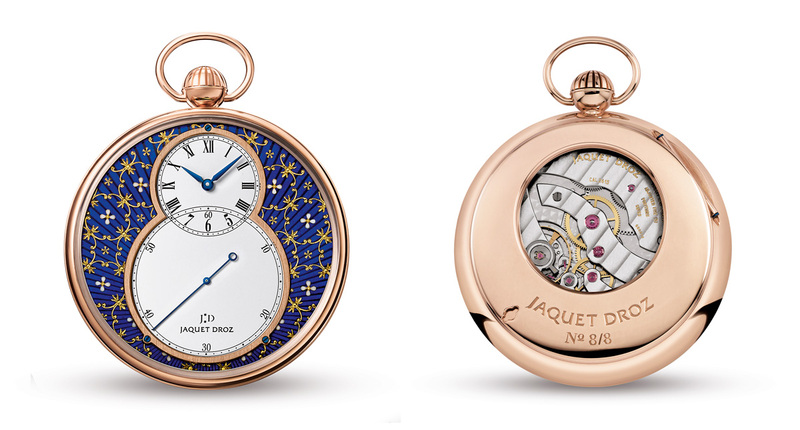 The last watch in the series is the Pocket Watch Paillonnée. 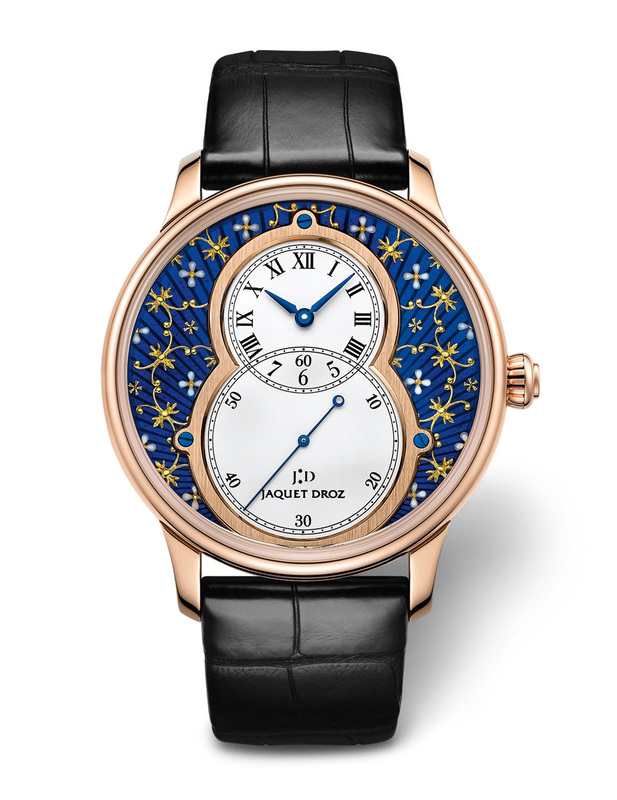 This has a 50 mm case with the ultra-thin Frederic Piguet cal. 15 pocket watch movement inside. All three models are limited to eight numbered pieces each. The retail price of the Grande Seconde Paillonnée is 67,000 Singapore dollars with 7% tax, or about US$53,000. That’s in the same ballpark as the earlier edition of the Paillonné wristwatch, which retailed for just under US$50,000.